On September 28th we had a very rare eclipse of the moon, plus it was a super moon, which means the moon was at its closest point to the earth,also called the harvest moon,closest full moon to the September Equinox. The lunar eclipse can be easily seen with the naked eye plus you dont need eye protections as you do with the solar eclipse. The next one will not be until January 31 2018. The bible even talks about a blood moon, in Revelation 6:6. 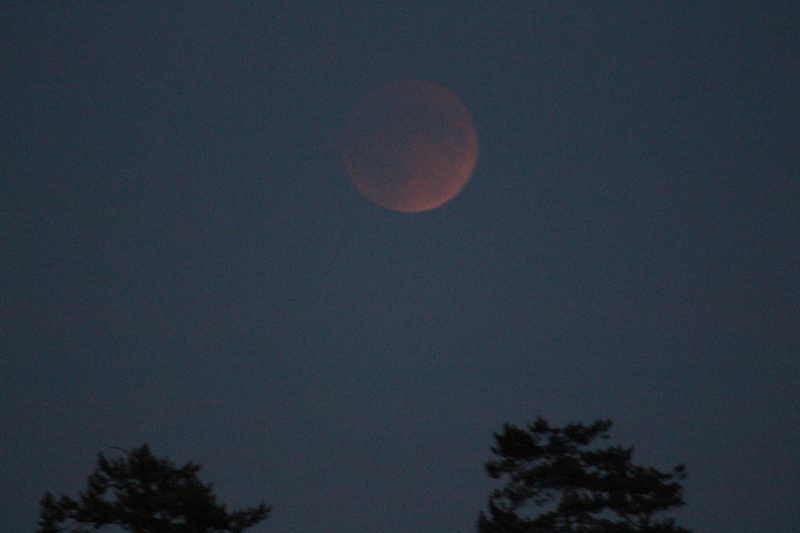 It is called the blood moon because of the red color during the eclipse. There are lots of doomsday prophecies in the past about this event, i can just imagine what folks would have thought when they saw this in ancient times, they would have no idea why it was doing this, not understanding it and therefore looking at it with great fear. My photos are not great , but it will give an idea what it looked like.